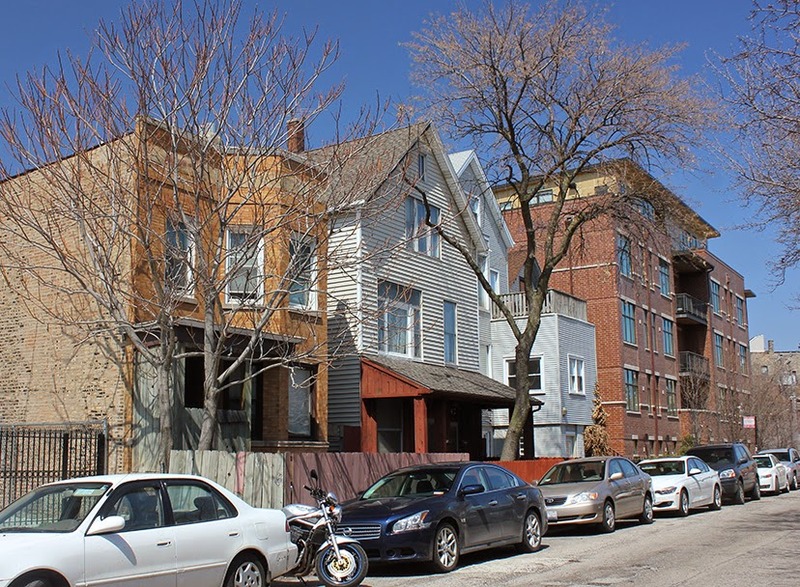 ArchitectureChicago PLUS: A third of a billion dollars to save 15 seconds? CTA's pork barrel roller coaster subject of public hearing tonight. A third of a billion dollars to save 15 seconds? CTA's pork barrel roller coaster subject of public hearing tonight. A public meeting on the CTA's proposed Red-Purple bypass project will be held today, Thursday, May 22nd, 5:30 to 7:30 p.m., at the 19th District Police Department, 850 West Addison. 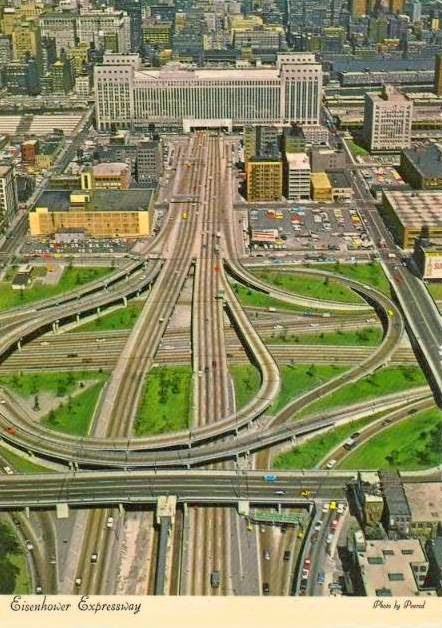 In post-war America, when stagnating cities sought to come to terms with the emerging age of the automobile, the expressway became the great god of salvation - worshipped and inevitable. Urban centers were torn and shredded to make way for their construction, sacrificing long-standing patterns of local transportation for visions of speed and connection. The joke, of course, turned out to be on the big cities, themselves. Far from securing their economic future, the expressways emptied out the cities and greased the skids for the exodus to the suburbs, even while slumming up the neighborhoods now fallen beneath the highways' deep, derelicting shadows. Now, city after city has realized its mistake, and taken sometimes massively expensive initiatives to heal the scars the expressways and other overscaled infrastructure created, painstakingly stitching the urban fabric back together. Boston spent billions to cover its downtown Central Artery beneath parkland. After the 1989 Loma Prieto earthquake caused major damage to the double-decker Embarcadero Freeway, San Francisco didn't repair, but demolish, returning one the city's most iconic vistas back to its citizens, and restoring the Ferry Building district to its status as one of the city's great amenities. Dumb, clout-heavy Chicago still doesn't get it. Other towns learn from their mistakes. Chicago just ups the ante. There's no more poetical symbol of the excesses of the automobile age than Chicago's Circle Interchange, four square blocks of nothing but roadway and winding, elevated ramps, constructed not on some suburban tabula rasa, but carved out of the very heart of the city, where's it's been a wasteland presence for over half a century. Visually, it's a magnificent beast, but it's appetite is insatiable. Frequently cited as offering up the worst congestion in the United States, it reportedly wastes 25,0000,000 driver hours every year. So, is the plan to find ways to divert more of that traffic away from the interchange? Of course not. The plan is to continue to force as much traffic as possible -even through traffic that never stops downtown - squeezing through the Circle Interchange. 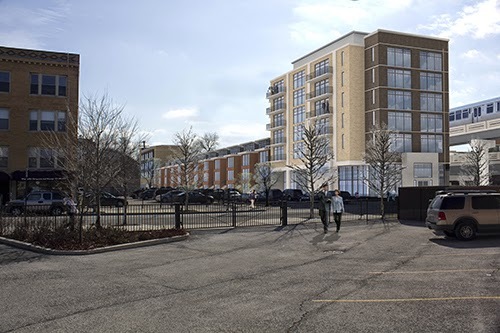 Spending $500 million to add capacity that will be inadequate by the time it comes online, the reconstruction includes building still another ramp that will pass mere yards from residents' bedroom windows and make Greektown look like a off-ramp hick town. 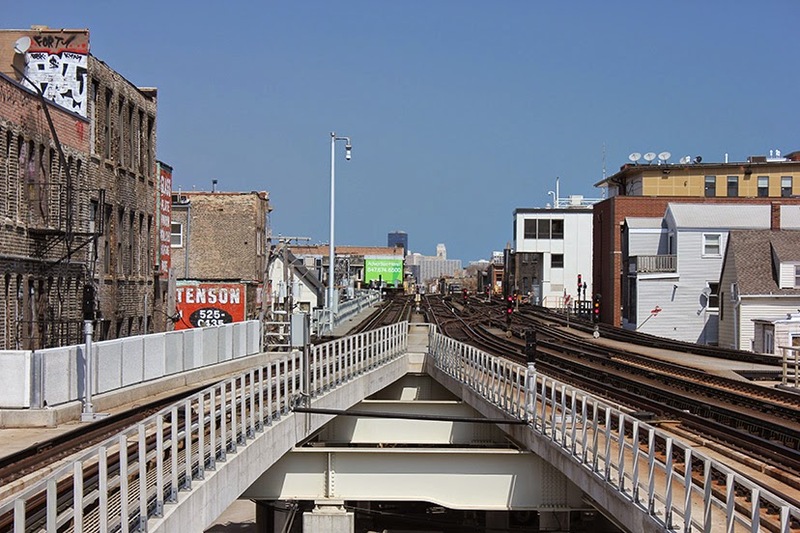 And now, Mayor Rahm Emanuel and the Chicago Transit Authority intends to slum up Lakeview with a roller-coaster like overpass to eliminate switching delays north of the Belmont Brown/Red/Purple line stations. Just four years ago, the CTA spent $530 million to renovate the entire Brown Line, extending platforms to accommodate eight-car trains and rebuilding 18 stations, including completely new platforms at Belmont and Fullerton. Now, just for this overpass, the CTA is proposing to spend $320 million. That's right. In a city closing schools by the dozen and facing financial disaster from pension payment obligations, Emanuel wants to spend a third of a billion dollars to eliminate delays that don't exceed three minutes on far less than half of train runs. The CTA's propaganda campaign for the project is a rich collection of misdirection, evasion, and downright lies. The Reader's Ben Joravsky actually clocked more than 30 trains with a stopwatch, and the typical delay was 25 to 30 seconds. Max was 40 seconds. I also ride the Brown Line every workday, and I've been watching how long I'm held up at Belmont. Often, it's not at all. And when I am delayed, it's seldom more than 15 seconds. Usually by the time the “We are waiting for signals ahead” announcement finishes, the train is already moving. So we're going to spend a third of billion dollars to cut 15 to 30 seconds from our travel times. Hey, we're expecting Uncle Sam to foot the bill, so it's not real money anyway, right? The CTA makes a lot of other suspect claims, including projecting that traffic through the intersection will double over the next 15 years. It also laughably claims credit for the retail surge on Southport through the rebuilding of the Brown Line station, and suggests that the construction of the Belmont overpass will spur a similar miracle along Sheffield and Clark. Like the opportunity of being in the shadow of trains cars loudly passing overhead on a soaring trestle is an irresistible magnet for new businesses. 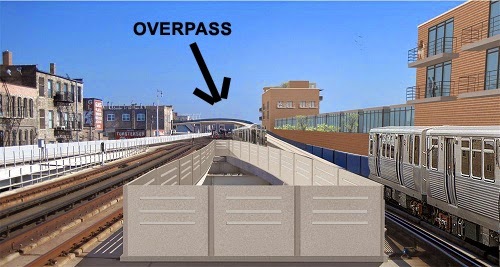 Not that the CTA actually has any intention of letting you see the full visual impact of the overpass. As in the latest remake of Godzilla, the monster is kept out of sight not, as in the movie, to build suspense, but as a permanent strategy to defuse public outrage. Like a realtor hiding a huge septic tank behind bushes in photographs of a house they're trying to sell, the CTA's project renderings carefully conceal the worst of the overpass behind buildings that don't exist, and for which no developer has as yet stepped forward, or even been rumored. 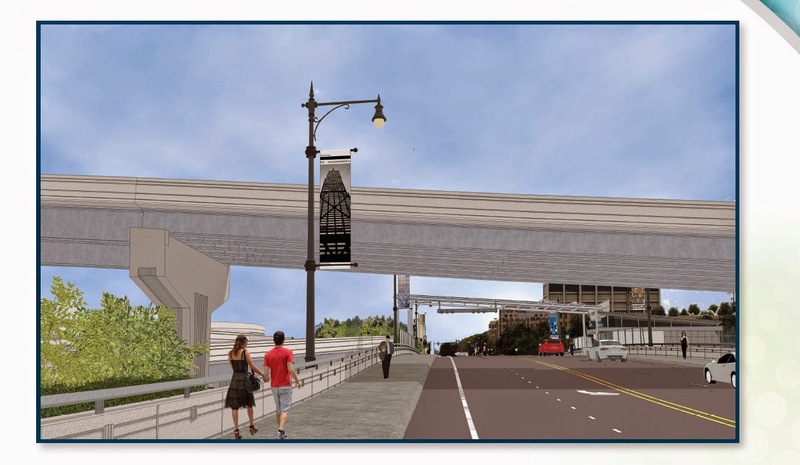 Where the overpass is depicted at it's full height, it's kept in the far distance of the rendering, as if the CTA thinks we're too stupid to notice the visual chicanery. No fewer than 20 buildings would be demolished to make way for overpass. If we are to believe the renderings, a real cityscape of different types of buildings - not architectural masterpieces, but real, human-scaled structures reflecting Chicago's history - would be replaced by generic, cookie-cutter designs most likely targeted to incomes far above those of current residents. I suppose I should admire the bureaucrats for their shamelessness, but the time for this kind of scarring infrastructure, ripping like a tornado through the urban fabric of a thriving neighborhood, is long past. Yeah, so, it's totally reasonable to question the cost, but the point of the project is not a bit of time savings, it's to increase the number of trains the CTA can run per hour, increasing the capacity of both the Red and the Brown lines. If we're going to have more transit-oriented development around them (and I hope we do) then this added capacity is necessary. And come on, it's totally disingenuous to compare this to building whole expressways, in terms of scale and disruptiveness. Something like the Circle Interchange, sure -- but I think the main complaint there should again be the cost which could be directed towards more effective transportation investments, not the relatively small changes to the urban landscape. It's a small change only to those who don't live there. This is more than a 15 second savings. This winter, at least once a week there was a 30+ minute delay on the red/purple lines going south bound because trains were backed up at Belmont. I stopped taking the CTA and added a single driver car to LSD every morning... it had just become too unreliable. It's been better lately again, but for example, last night north bound I missed the purple line connection because the red lines were backed up and sitting before approaching Belmont (after leaving Fullerton even). I missed the Purple Line. That was an 8 minute delay in my commute simply because the trains were bunched. This happens a few times of week. The same can happen in the morning southbound but it typically is less of an impact SB. There are thousands who do this same commute every morning. The problem here is people are looking at this from a Lakeview perspective, when it's going to be benefiting people outside of there more. The voices you hear the most are Lakeview, though, obviously. Also, it's not about time savings so much as getting more trains through and being able to effectively and reliably run the trains that are already in place. There are people left standing on just about every platform south of Belmont during rush hour because the trains are over-capacity in every way. It seems to be really bad at Clark/Division often--where are those people's voices in this? And that's exactly how you destroy a city. It's "for everybody", so let's carve up a neighborhood. I live in Evanston/Albany Park/Pilsen/Bronzeville. It's not us, so it doesn't matter. Lynn, you are making their case. The city IS for everybody. Yes, the handful of residents and businesses should be considered but those needs have to be balanced by the greater good. Seems pretty obvious to me. And do we supinely accept the CTA's estimate of the greater good? When it's already been proved they're gaming the numbers to make their case? Are their ridership/capacity projections any more credible? Divide and conquer. Sacrifice what's not yours for "improvements" that ultimately mostly benefit politiicans and contractors. It's the Chicago way! Let's not pretend like the property owners in this area don't benefit from better public transit. At least the ones whose homes and businesses aren't destroyed by the CTA's narrow (and extraordinarily expensive) vision of "progress". "The CTA makes a lot of other suspect claims, including projecting that traffic through the intersection will double over the next 15 years." Do you actually have any facts to refute this claim? Please take a look at this chart and tell me how the demand is otherwise to be met. In a world where common sense has become a superpower, someone finally makes an informed opinion on this project. What the CTA is promising and what will be done are 2 different things. Taxpayers should be furious about the plans to squander scarce resources for service improvements the CTA will not be able to deliver. Too many riders who feel the pain of inadequate service on a daily basis hear "improvements" and are willing to sign their life away for some empty promises. Take the time to find out what is really behind this so you're not disappointed 5-10 yrs down the road when your taxpayer dollars have been spent. CTA, Forrest Claypool, Mayor Emanuel all based need on 4-min. delay. Now they're changing their tune to say 84-sec. $320 million is a waste of taxpayer money. I don't live in Lakeview but I know a waste when I see one. and scary Blue Line Division stop? Do you think the brown line flyover will be so high in the sky that fans at Wrigley Field will be able to see the flyover from inside Wrigley? I ride the brown line every day. During night games, I can see the Wrigley lights in between buildings from the train. But with this flyover, maybe train riders will be able to see into the ballpark! 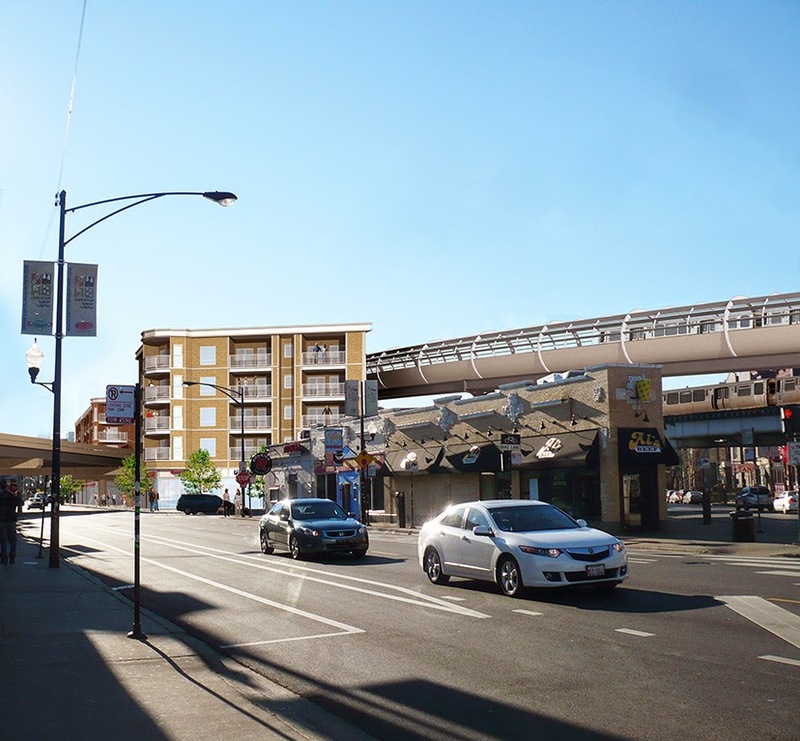 Heck, let's just go all roller coaster and have the brown line do a loop around Wrigley Field. We could call it "the second loop." Modifications could be made to the present flat junction that would eliminate the delays.